This writer once went on a spiritual trek through mountainous southwest China. In 1983, writer Gao Xingjian, in his early 40s at the time, faced some uncertainty and drama. The accomplished painter, poet and novelist was diagnosed with lung cancer, at a time he was getting ready to flee his native China, having been threatened with arrest if he stayed, for his ‘counterrevolutionary’ writings. However, he then discovered that the cancer was a misdiagnosis and with a new lease on life, he went on a ten-month trek of self-discovery through mountainous southwest China. This journey ended up producing one of his most highly acclaimed literary works, the semi-autobiographical Soul Mountain. On the topic of Gao, I was lucky enough to have the opportunity to speak to Mabel Lee. Lee, who is one of Australia’s leading authorities on Chinese cultural affairs,has translated several of Gao’s works, including Soul Mountain, a project which she told me took her seven years to complete. Lee asked Gao whether he’d found a translator for the book, and as he hadn’t she took the job on, and Lingshan eventually became Soul Mountain, published in 2000, just prior to the announcement that Gao had won the Nobel Prize for Literature that same year. Lee told me that it was as she worked on the translation that she truly began to sense that Lingshan was ‘a truly remarkable novel,’ and thus began to study others of Gao’s writings, eventually introducing his plays and essays into her own teaching and research. Lee also pointed out that what makes Gao unique and thus attractive to a wide audience, in her eyes, is partly his ‘profound knowledge of both Chinese and Western writings,’ his ‘keen interest in the aesthetics and techniques of creation across various genres,’ which is reflected in ‘his plays, operas, novels and short stories,’ and also that he is an ‘accomplished artist who can appeal to a ‘full range of senses’ including the ‘visual, auditory and tactile.’ In Lee’s opinion, it’s therefore Gao’s ‘all encompassing powerful intellect and understanding of human psychology’ that gives him universal appeal. And while she believes that each of Gao Xingjian’s works is unique and worth reading, Lee recommends Soul Mountain and his opera Snow in August to readers new to his work. 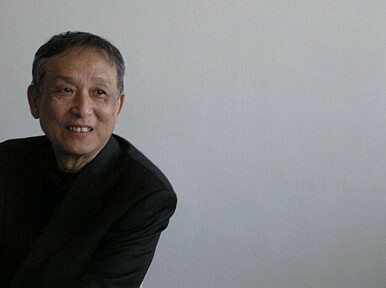 Gao Xingjian now lives in France, where he was granted citizenship in 1997. The 2010 Nobel Prize for Literature went to Peruvian author Llosa. But Japan’s most celebrated contemporary writer must surely stand a chance in the future.